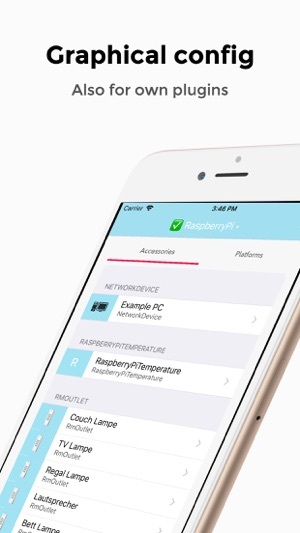 •	Setup your brand new RaspberryPi (1, 2, 3, 3+ and Zero) with our preconfigured version of the open source installer "NOOBS". 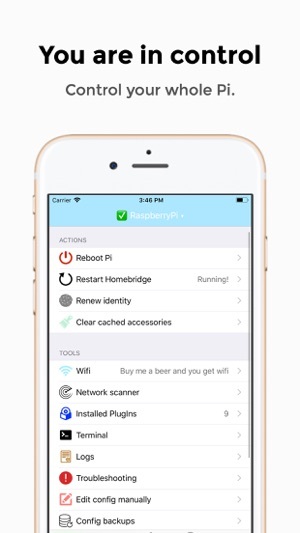 •	Automatically configure your RaspberryPi's WiFi, etc. •	View all Homebridge error- and system-logs. •	Debug-Mode: Homebridge is not working, also after using our famous Auto-Repair function? 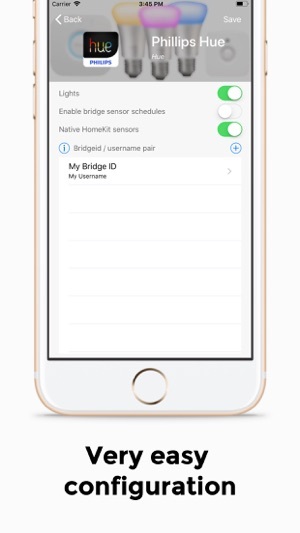 Run Homebridge in the debugger to quickly determine, where the problem is. •	Fallback: Enjoy a build in SSH-Terminal, if you like. 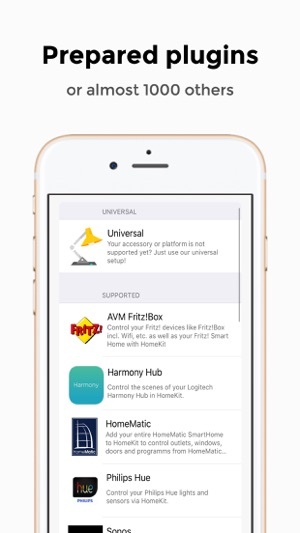 There are already users, which are using this App with a Homebridge server running on a Mac. 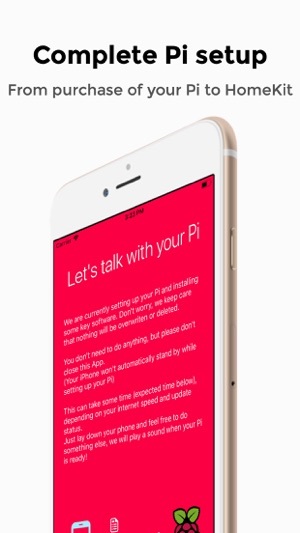 However we strongly recommend using the App with a RaspberryPi (1, 2, 3, Zero) and do not support servers, running on other machines including the Mac. Thank you for using Homebridge! So this is a great idea but falls short. I already have a pi 3 running Homebridge but decided to try this out on my Zero that I had already installed Homebridge on but no plugins yet. The setup screen implies it’s not possible to proceed without starting from scratch which isn’t the case. It implies it must be connected via Ethernet which also isn’t the case. 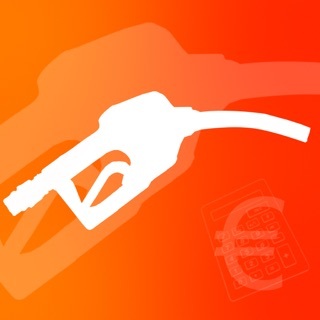 I really want to like this app but there isn’t enough plugins. That’s not necessarily a problem for me since I’m already able to do this stuff via terminal but if there were some sort of way to add plugins through the app manually without having to touch the config it would be amazing. 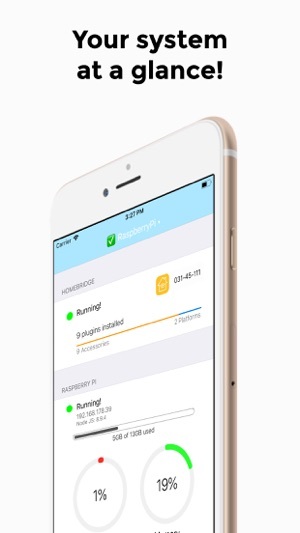 I’m not really a developer so I have no idea of a solution to that is possible but I feel like there could be a way of connecting to Homebridge tagged repos? Anyways, I’ll continue to keep this app and check up on it’s progress, once it’s there I’ll stop stalling on setting Homebridge up for my friends and they’ll be able to manage it themselves. I was about to give up and saw this in the App Store. Decided to try it out and glad I did. The app just finished setting up my W and I’m about to try playing/installing plugins—directly from my iPhone! The English/instructions is a bit sloppy but don’t let that turn you off. It’s awesome being able to setup and monitor the RPI from the phone. Took me a little time. I had a raspberry pi3b+ that I bought for a different project that didn’t work out when I stumbled upon this app. After a bit of internet researching, and a lot of trial and error(Mainly because I’m not very computer savvy), I got this app going on my pi. It seemed very buggy at first, but by running the debugging tool and making tweaks to plugins I have almost all of my home WiFi products connected to siri and must say this thing works pretty good. I leave my pi plugged in and running 24/7 and have an iPad running the Homebridge and apple home app running in the background. Not saying it’s a must but it works smooth for me across multiple platforms. Seemed buggy at first but seems like the more I can let everything run in the background and control everything from Siri or the home app it actually runs smooth.